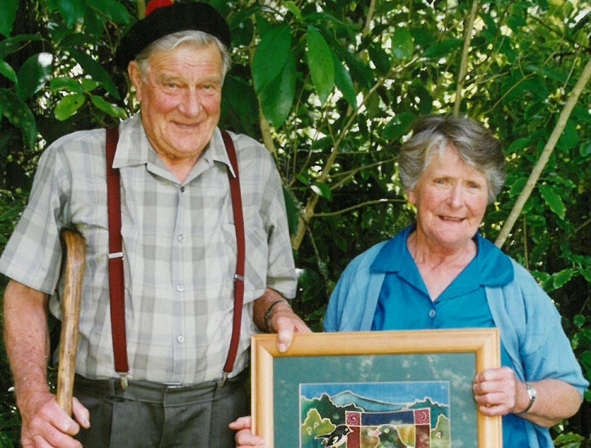 There’s no limit to the ways one could start a story about the humble conservation legend, Arthur Blair Cowan MBE, who passed away in Otorohanga last month, aged 98. One thing is certain – all but the longest account would under-sell his achievements, much of which Arthur achieved with his wife Pat by his side or in close support. 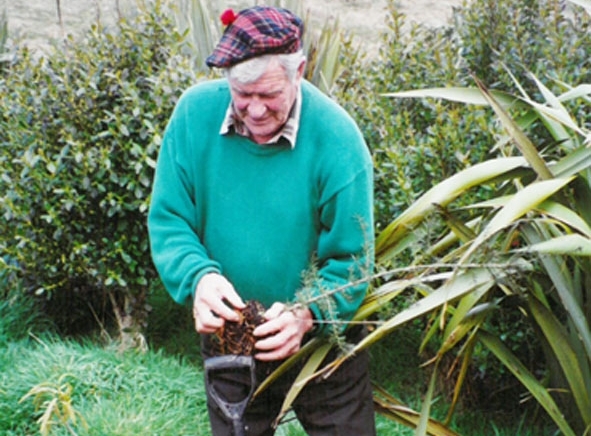 Arthur received a New Zealand Commemorative medal in 1990 and an MBE (Member of the Most Excellent Order of the British Empire) in 1993. Both recognised his conservation efforts to that time. One suspects that, had the full extent of Arthur’s achievements been known even then, a knighthood would have been more appropriate. Arthur became a familiar name at DOC in 1988 when he was awarded the Loder Cup.This recognition probably came on the back of Arthur’s work as a founding member of the Native Forest Restoration Trust in 1980, but he had been a tree planter all his life, firstly on his father’s farm and then on his own King Country property, acquired when he returned from the Second World War. 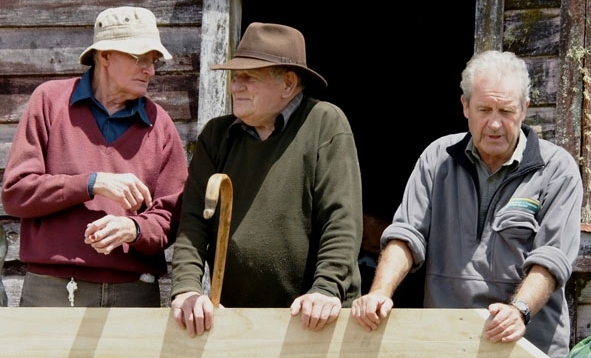 Arthur farmed at Rewarewa until the late seventies, when he handed over the farm to his son. From then on Arthur devoted much his time to conservation. He spent the next 34 years buying and regenerating more than 30 separate blocks of land. For many acquisitions Arthur used his own money to secure purchase. In one case he bought a block on the understanding that DOC might eventually be able to reimburse him. DOC did, about three years later. 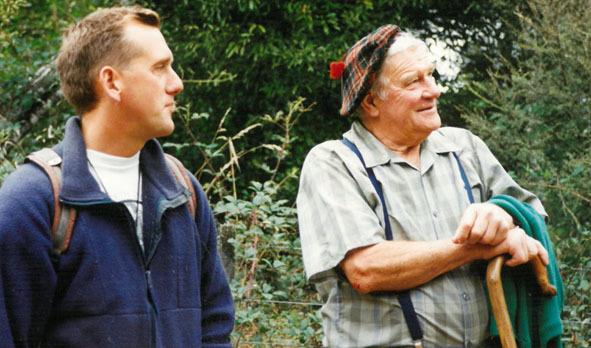 Many DOC staff have had the pleasure of being inspired by Arthur on tree planting expeditions over the past 27 years. The memory of the modest but resolute man will long endure. Thank you for this article about Arthur. I am very grateful for the work he did in helping establish the NZ Forest Restoration Trust and am hopeful that we can continue on a successful path into the future. I wonder where we can find more information on his aspirations for the future of conservation in NZ? NZ has lost a true conservationist, humble, hard working, determined and utterly devoted to saving what is left and replacing what is gone. I was lucky enough to attend several functions where Arthur spoke to those gathered and all were inspired by his single-minded and common sense approach to problems presented. His is a real loss to the country. I am quite surprised that I am the first one to comment on this inspiring story. I was just going to say that this country would need more people like Arthur. I often wonder what the word ‘conservation’ means these days. This article reinforces my faith! Thank you.